My thanks to Moya at the Moyatorium for the nomination! 🙂 If you haven’t seen it before, we talk about some similar things and I rather enjoy reading it! Yes. Yes, it does. 😉 Heh, honestly, it usually goes to my left, but it has been known to go to my right too. There’s the kuudere, who seems cold and unapproachable at first, but proves to be very caring towards the ones they love. I know, I may not seem that way online, but in real life… I am the strong, silent type most of the time, and one of my friends described her initial impression of me as quiet and a little weird, but I am determined to always be there for my family and my dear friends, and woe to you if you mess with them. Of course, there’s also, probably even more accurate, the dandere. As in introvert and an autistic, I lost most of my childhood fearlessness and became a bit more reserved, but put me next to someone I like (not “like” so the comparison isn’t perfect) and I’ll gab away about anything interesting to me. …huh? What is this abomination you speak of? Fruits Basket? Sure! I’d be fine! Too many chain restaurants to decide, so I will go with recommending… a cheeseburger! I mean, how much more quintessentially American can you get, eh? I suppose I’m more comfortable in smaller spaces. I do, oddly, feel a bit like I’m going to fall upward if I’m in a completely open space, rather than among cities or trees or mountains or caves (like my room!). 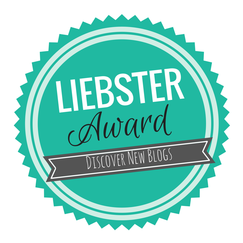 This entry was posted in Blogging Awards, Challenge Accepted and tagged Liebster Award. Bookmark the permalink. Glad to find another avocado hater. And don’t worry about having a dorodere in you…I’d even confess to having a bit of yandere in me – at least in high school anyways. Don’t worry…I haven’t murdered or hurt anyone, but the tendency to obsess was real and unbeknownst to all.